I have a few 问题 about women in Islam. In my Geography class we are studying "Women Around the Globe" and our assignment is to research and write an essay about women in a particular country/of particular race/religion around the world and I have chosen "Islamic Women" and I have a few 问题 about women in Islam, please do not take offence to any of this, this is solely for educational purposes and I have the utmost respect for Muslims. 1. Are Islamic women allowed to wear colourful clothing? 2. Can women 显示 their hair partly? Perhaps there are some Islamic countries where they can and some where they can't? 3. Is there a punishment if a Muslim woman is seen without a head cloth? 4. Do 你 as a woman feel overlooked 或者 under appreciated in Islamic countries? 5. Are Muslim women allowed to participate in sporting activities? What about dance? 6. (This is a very dumb question) what kind of shoes do Muslim women wear with their Islamic attire? 7. Do men in some Islamic countries also cover their heads 或者 is that solely a thing that women do? 8. 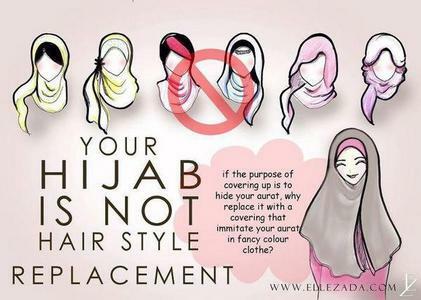 Can a non-Muslim woman wear a hijab? 9. Can Muslim women wear jewellery? If yes what kind? 10. Can Muslim women wear make up? If yes, how much and what styles? 11. Can a woman expose her neck while still covering her head? 1. Indeed in countries like Saudi Arabia, most women wear dark clothes like black. but actually it's okay to wear bright 颜色 as long as it is closed your body. 3. For a woman seen without hijab (head cloth) besides her husband's is: Her hair will be hung 由 the hell 火, 消防 that boils the brain and how long this happened in the world during her lifetime she has not closed her hair. 4. Honestly I'm not. The population in my country is 90% (or more) are Muslims. 5. Yes, they can doing sport and dance, but they are encouraged to wear clothes that cover the body. 7. No, it's just for womans. But the mens also have some kind of 帽 that usually wear with Muslim clothes and when worship. But it was not too required for them to wear. 8. I do not know about this but I guess it is okay even though it is not required. 10. Doing make up appropriately on the face, palms, and clothing allowed religion within the limits of appropriate carried out 由 a Muslim woman. Muslim womans are never required to follow a particular mode of dress. The required things is just covered the body. 11. No, they can't. All parts of woman's body, except the face and palm hands must be covered with clothes and head cloth (hijab), included the neck. Well that's the best 答案 I asked to you. Sorry for all mistakes I made. And a bonus: this is a picture of the right head cloth (hijab) in Islam. You're welcome. Glad it is can help.